Through his 30s, Steven J. Fogel defined himself as a family man and businessman, co-founding Westwood Financial Corporation, which today, with Steve as co-CEO, owns over one-billion-dollars of commercial real estate. 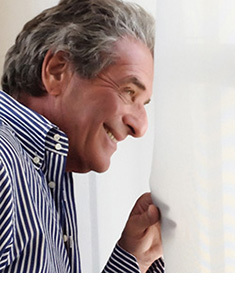 Eventually, however, love and business success weren’t enough to hide the internal pain that pervaded his daily life. No matter how much he accomplished or accumulated, he never felt truly happy for long. That realization led to a lifelong engagement with psychology, spirituality and human potential. Along the way, he became an artist and an author, and dabbled in acting, stand-up comedy and producing independent movies. Steve learned about dysfunctional patterns of thinking and behaving that were causing him frustration, stress and anxiety, and about self-transformational techniques for making mindful choices that would create a life with more joy and fulfillment. He discovered a new sense of purpose – to share what he’s learned; to provide insights that can help others who ask, “Why am I not happy?” He does this in My Mind Is Not Always My Friend: A Guide for How to Not Get in Your Own Way (Fresh River Press, 2010), and with his new book, Your Mind Is What Your Brain Does for a Living; both co-written with Mark Bruce Rosin. Steve shared these insights with many people, mentoring both business leaders and those seeking personal fulfillment. Since life cannot be compartmentalized—all aspects touch each other—he has helped others understand that integrity, honesty and character permeate every niche of a complete life. Once you have learned how to live authentically, fulfillment is the byproduct. Steve and Mark are working on a new book about the relationship between psychology and neuroscience, and how to use your mind to remodel your brain and transform your life. 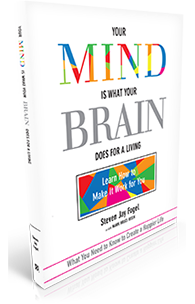 See what else others are saying about Steve Fogel and Your Mind Is What Your Brain Does for a Living.